Calling GST the biggest taxation reform since Independence, Revenue Secretary Hasmukh Adhia said on Friday that not only would it do away with multiplicity of taxes, but would eliminate human interface from the indirect taxation system. In his address at the last day of India Integrated Transport and Logistics Summit here, Adhia said the Goods and Services Tax (GST) - which would take effect from July 1 - would also create a common national market "as any single commodity in the GST regime would have a single price across the nation". The Revenue Secretary said the biggest advantage of the GST was that there would be no different taxes between the state and the central government. "Unlike in the present regime with multiplicity of taxes and a lot of cascading of taxation, here's a system wherein there would be a seamless flow of credit available to each player in the entire chain of distribution across goods and services," he said. 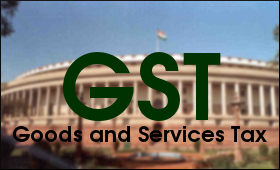 He added the GST would also merge the goods and services distinction and would put an end to all disputes regarding whether something falls under goods or services category. "Another major benefit of the GST is that the entire process is automatic with hardly any scope for human interface," Adhia said, adding that like direct taxes, where an individual doesn't know who is processing his or her claim, there would be minimum human interface in indirect taxation as well. He said the biggest beneficiary of the GST would be the logistics and transport sector because all the problems of moving goods across the country would go away. "If some goods have to cross five states today, they have to go through a long waiting period for entering each of those five states because of state-level check-posts. But after the implementation of the GST, all these problems are theoretically supposed to go away," Adhia said. He added while there may be other check-posts like that of Forest Department and of security, "but as far as taxation is concerned, state-level check-posts would go". "Even for those (other check-posts), a taskforce of officers is looking at ways of avoiding them as well through the use of technology." Adhia said the GST Council would work with the state governments and other stakeholders to ensure seamless transport of goods across the nation. Almost all SMEs have tax disputes notices hanging like sword on their neck and threatening their units to close down.Most of notices are issued on either prevailing confusion or on sheer tax collection pressure by governments, in my opinion , government must bring in one time settlement rule for all those who knowingly avoided taxes and in case of confusion at both ends , state and central must withdraw notices as benefit of doubt always goes in favour of batsmen that is enterprise.If not while GST migration and implementation taking place SMEs may not have strength to service old disputes while learning to run businesses under new tax system, as an SME owner , it's my sincere request to governments to bring in simplification in demand notices settlements.One of the core reason for SME s slow growth is , tax disputes and weak funding by banking system.